Our product range includes a wide range of 410 stainless steel sheets, 202 stainless steel sheets, 309 stainless steel sheets, 316l stainless steel sheets, stainless steel sheets and 316 stainless steel sheets. Applications Flatting, Paper Interleaf, PVC film,etc. We bring forth for our clients, an extensive array of 410 Stainless Steel Sheets. Procured from the certified vendors of the market, these products are manufactured by making use of excellent quality raw material and cutting-edge technology. Our products are developed following the international quality standard. We are engaged in manufacturing & supplying a broad spectrum of 202 Stainless Steel Sheets which is made of optimum quality stainless steel of grade SS 202. with various dimensional specifications, these find ample usage in various fabrication and engineering projects. These plates and sheets are carefully designed and manufactured under rigid quality control procedures to ensure high precision and dimensional accuracy. Remarks: We accept orders according to customers' requirements as well as processing of given materials. We offer a broad collection of 309 Stainless Steel Sheets which is made of premium quality stainless steel alloy of grade 309/309S. Designed with high precision and engineered with high technologies these sheets are used in fabrication and engineering projects. These plates and sheets are carefully designed and manufactured under rigid quality control procedures to ensure high precision and dimensional accuracy. 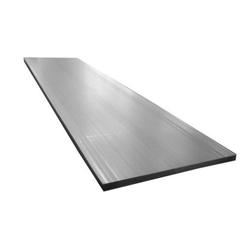 We are offering different varieties of 316L Stainless Steel Sheets in the grades of 316. They are tested on different quality parameters and are provided in various dimensional specifications. These SS plates and sheets are known for long lives and always find ample usage in various fabrication and engineering projects. These plates and sheets offer optimum performance and simple maintenance. We manufacture and supply a wide range of Stainless Steel sheets which are made according to the diverse industrial needs satisfying the international quality standards. Our wide range of stainless steel plates find usage in ships, steel structures, storage tanks, large diameter pipes, and boilers.A team of strict quality analyzers stringently examine all the developed products to ensure their defect-free nature, before the end delivery. We are providing excellent varieties of 316 Stainless Steel Sheets; which are supplied in the grades of 316 TI. They are offered in various dimensional specifications, shapes, and sizes. They are known for long lives and are used in different sorts of fabrication and engineering projects. These plates and sheets are tested on different quality parameters and are carefully designed and manufactured under rigid quality control procedures. Our organization has successfully expanded its business in market owing to the offered elevated quality array of 304L Stainless Steel Sheets. 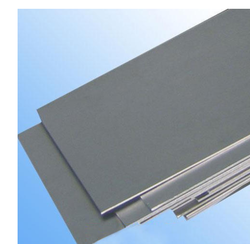 The offered sheets are manufactured utilizing superior quality stainless steel and latest technology at vendors' end. Moreover, a team of our vendors' quality controllers conducts a series of quality tests on the entire range to seek out any possible defect. In tune with international standard, we provide the entire range in various customized options and industrial leading prices. Leading exporter and stockiest of stainless steel sheets fabricated to make sure our products comply with various international standards and customer specifications. Our range of products is available in different grades and size with great corrosion resistance strength and excellent durability. Our supremacy over the market as the prominent Manufacturer and supplier is largely attributable to our exclusive range of 316 Stainless Steel Sheets. These steel sheets are examined according to the previously set norms under the visionary observation of vendor’s experts. 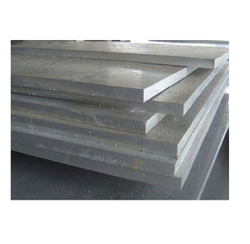 The offered assortment of steel sheets are given in different thickness and dimensions on customer’s demand. Moreover, these steel sheets are processed with precision with durable material & easily available to our customers at reasonable rates. 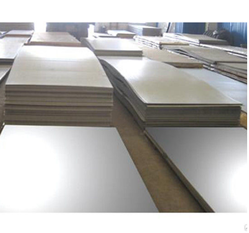 We are one of the major 430 Stainless Steel Sheets suppliers in the markets. Our company produces a wide assortment of SS 430 Sheet, which is tested for their quality before being dispatched to the customers. 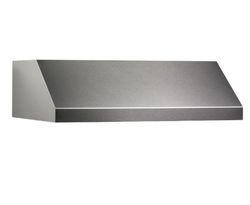 Our SS 430 sheet made from high grades of stainless steel; and is known for strength and durability. Application Industry,Construction,Decoration,Food and Machenical Industries etc. Our organization is the leading position in Manufacturing and supplying of 420 Stainless Steel Sheets. Our experienced professionals make sure the safety-norms and longevity in service before they are launched in the market. These SS 420 Sheets contain mind blowing features in it such as directional grain flow and excellent ductility. These SS 420 sheet is used at manufacturing plates and wallets. It is quite common in all construction industries due to its durability, flexibility, and afford-ability. Size (feet X feet) 1500mm X 3000mm / 1250mm X 2500mm / 1000mm X 2000mm. We offer a comprehensive range of 2B Finish Sheets, which is well known for its features like durability, corrosion resistance, cost effectiveness, sturdy construction and smooth surface. These products are in compliance with industry standards and are available at market leading prices. 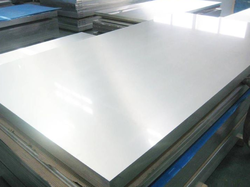 We are engaged in offering our clients a high excellence range of 304 Stainless Steel Plates Our offered steel plates are made obtainable in lots of industry for various usages. 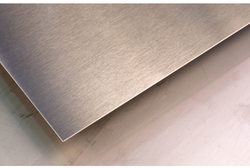 These steel plates are processed with the guidance of vendors technocrats by using quality proven stainless steel. 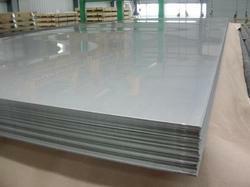 Our clients can buy these steel plates at nominal rates from us.